GAFFEY Healthcare provides next-generation, cloud based revenue cycle technology and services to help healthcare organizations accelerate their cash flow, improve their productivity and increase their profitability. With 40 years of accumulated hospital operations experience, of which over 26 years have been dedicated to research and testing, we have developed technology and solutions specifically designed to achieve optimal efficiency within the healthcare revenue cycle. 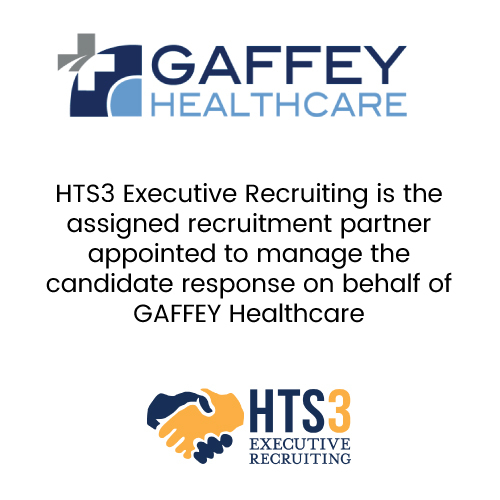 Due to the rapid expansion of GAFFEY Healthcare, Plano Texas we are looking to recruit suitably skilled individuals to deliver on our exciting new projects. Enjoy the rewarding career opportunity and mutual rewards that our growth has to offer. If you are serious about developing your career, enjoying rewarding experiences and success along the way, then come join us at the forefront of innovation, growth, hard work and play, as we pursue our mission of providing automation and efficiency to our healthcare valued clients.